As we all know that the brand of Bonanza is working since last many years and people like all collection of bonanza like sweaters, casual and formal wear shirts for men, shalwar kameez and kid garments. 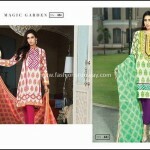 In last 3 to 4 years they decided to expand their business and target women customers and introduce its new Satrangi Pret Eid Collection 2015 by Bonanza Garments throughout for young girls and women. The brand of Bonanza “Satrangi” is much famous among girls as well as ladies and the main reason why many ladies like to purchase bonanza collection from its elegant and attractive designs, pattern, fabric & color scheme plus lowest in price as compared to other designers and quality of these clothing are outstanding. For all lovers of fashion who likes Bonanza Lawn Collection 2015 with its new and fresh Bonanza Garments Satrangi Lawn Eid Collection 2015 arrival before Eid which consists of Shalwar with long shirts and shalwar kameez and its all collection are new in trend and also reasonable in price. On 6th of this June, Bonanza launched its two new collections one is Pret Eid Collection and other one is Satrangi Lawn Eid Collection 2015. In bonanza eid collection 2015, many dresses are ornamented with full embroidery in front side of each shirt along with a printed border line having beautiful colors contrasts and embellishments. Some suits have chiffon sleeves and some of them own lawn sleeves. Colors which are used in Satrangi collection by Bonanza are unique and bright like white with combination of red and blue, red with mustard, sea green with white and many other color combination are available in this satrangi collection. 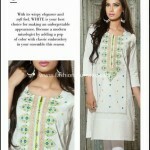 Prices of this clothing are also reasonable as they start from PKR 2400 to onward as according to embroidery. Check below here Satrangi by Bonanza Garments Pret Lawn Collection 2015 for women.